First prize winner can choose his/her preferred week of stay in 2019 except for the dates between July 15th – August 25th. • All the shortlisted writers will also get a free copy of the book! 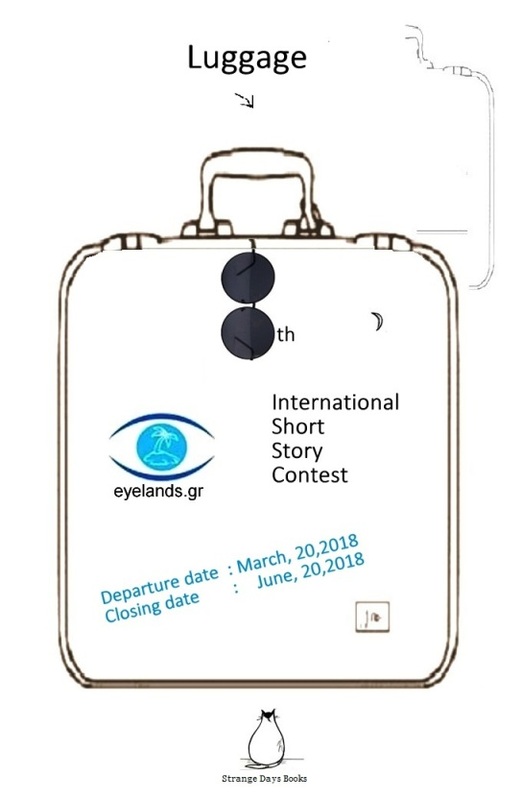 First, Second and Third prize: publication of your story in an anthology of the shortlisted stories of the contest (Greek section), translated in Greek. • All the shortlisted writers will also get a free copy of the book & certification document. Plus a book from Strange Days Books –for free!! 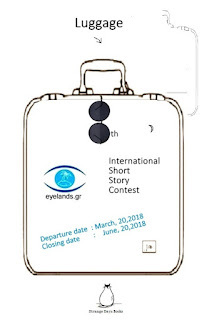 • In case the first prize winner does not claim the prize of a week’s holiday in Crete or does not book a specific week for her/his holidays at Three Rock Studio, the second (and then the third) prize winner will be notified in order to take her/his place. * Theme of the contest: «Luggage». *This is an international contest. There is no restriction such as nationality etc of the author, but you have to be 18 years old on the 21st of March 2018 to enter the contest. Maria was born and lives in Thessaloniki - Greece. She is an English teacher. She has published two poetry collections, "Lifetime Service" 2006, "A second pair of wings" 2010. She writes poetry & fiction in Greek and English. A lot of her work has been published in Literature Magazines in Greece and online. In 2006 she was awarded the 2nd prize for her poem "The Bate" from the Greek - Australian Cultural League of Melbourne, in 2009 the 2nd prize: “Antonis Samarakis" for her story: “Even if it's found it will chase me". This was also the title of her first short story collection, released in 2015 by Strange Days Books. In 2016 she published the novel «Second Pair of wings». Maria teaches Creative Writing and also writes a weekly column about books in Thessnews Newspaper & portal. She has been the co-ordinator of a book club for nine years. For the past four years she's been a collaborator in www.eyelands.gr as well as a judge of its poetry and international story competitions. Three Rock is a very special studio just a few hundred meters from Triopetra beach, one of the most beautiful beaches of Crete. Three-Rock is a studio designed to accommodate two to four people the studio is one very large furnished room of 70 sq.m., (with separate bathroom) with a lot of space which allows you to cook, dine, or just relax all day if you prefer! Studio at the ground floor and apartment at the first floor are listed on: /air bnb, holiday lettings/ house trip etc.